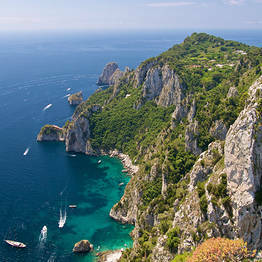 No visit to Capri Italy is complete without a tour around the island by sea, skirting the dramatically craggy coastline and taking in the shimmering caves and hidden coves. 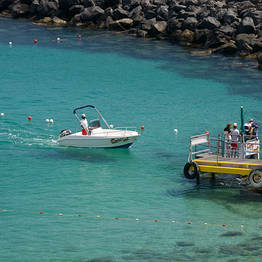 There are a number of boat tour companies with ticket booths in Marina Grande. 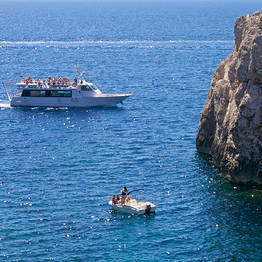 Motoscafisti and Laser Capri two companies which offer organized tours; tickets for these group tours can be purchased directly at their offices in Marina Grande. 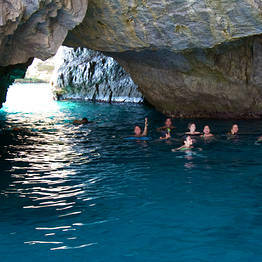 If you prefer an individual tour, we recommend booking in advance. 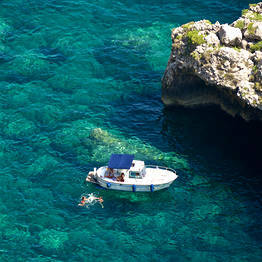 Here is a complete listing of companies offering private boat rental with or without crew. 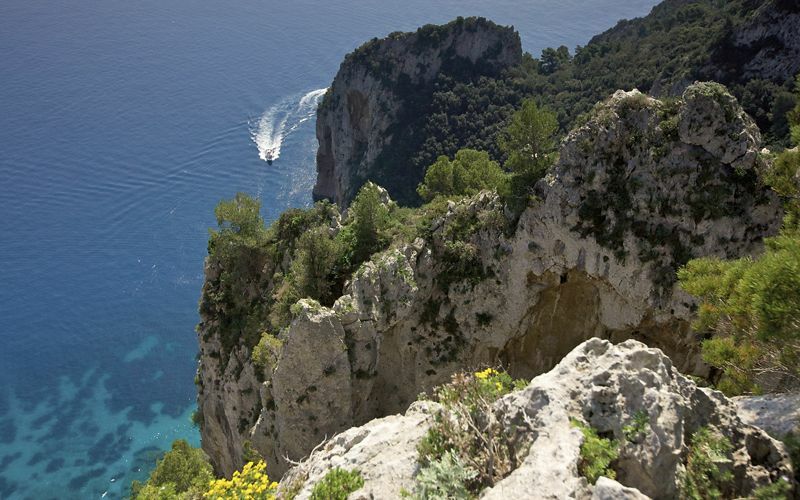 Organized tours are the perfect solution for visitors who have little time to spare (those on a short day trip, for example), whereas an individual tour with a private boat rental is ideal for travellers who have the time to enjoy the charms of Capri by sea at their leisure. 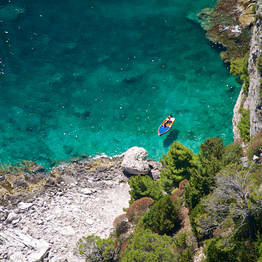 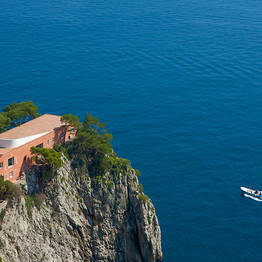 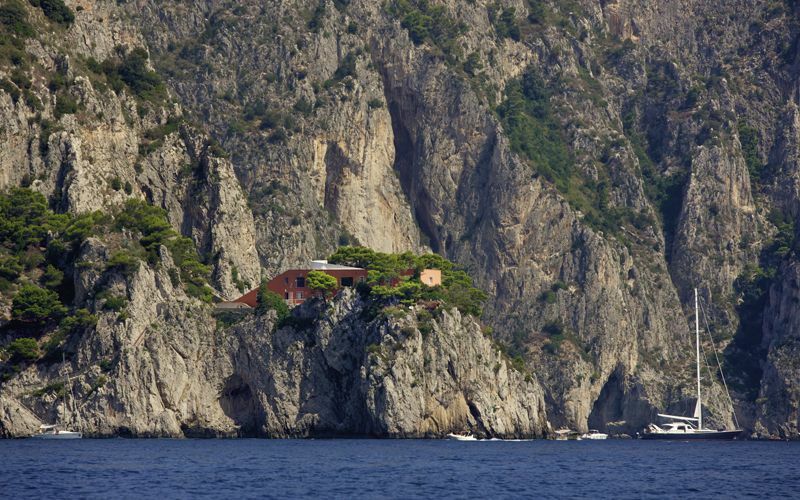 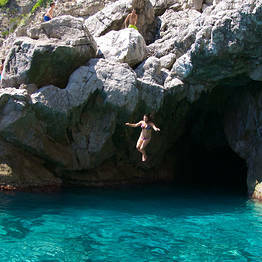 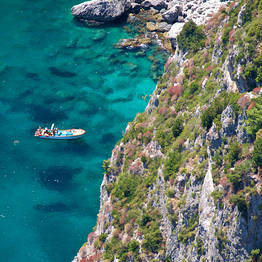 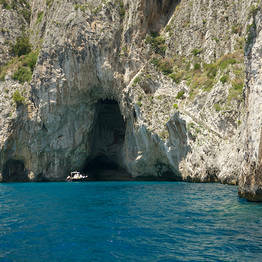 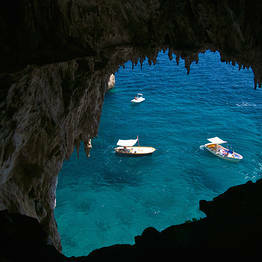 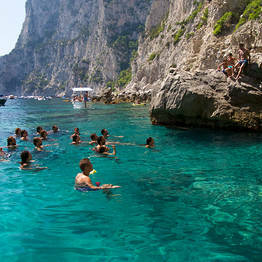 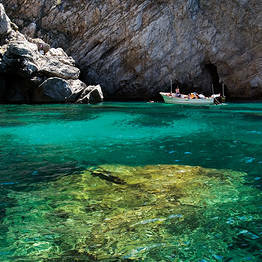 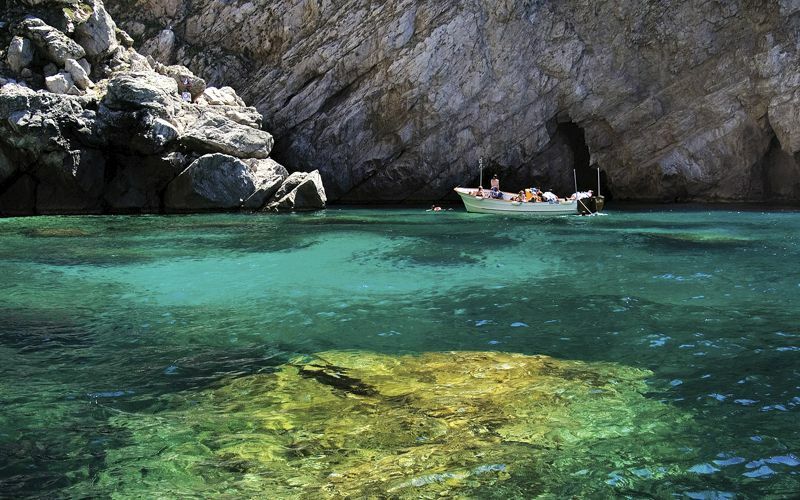 Most organized boat tours around Capri include a stop at the famous Blue Grotto, or the Grotta Azzurra. 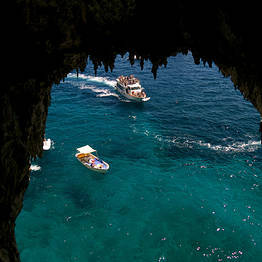 Those who are interested in entering the cave must disembark from their tour boat and enter on one of the waiting rowboats, which are small enough to pass through the cave's mouth. 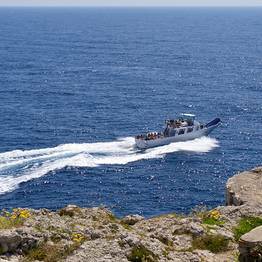 Entrance tickets much be purchased separately at 14 euro a person for a short 5 minute visit. 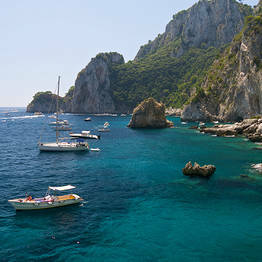 If you have opted for an individual tour in a private boat, after your tour around the island of Capri you can opt to sail across the sea to the fishing villages along the Amalfi Coast, perhaps stopping for a refreshing dip near the Li Galli islands, lunch in one of the area's waterfront restaurants, or shopping in the elegant boutiques of Amalfi and Positano. 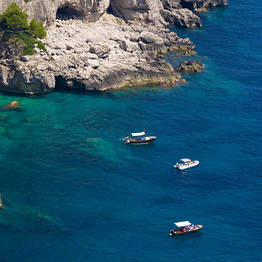 If you visit Capri during the peak summer months, avoid scheduling your boat tour around the island for the middle of the day. 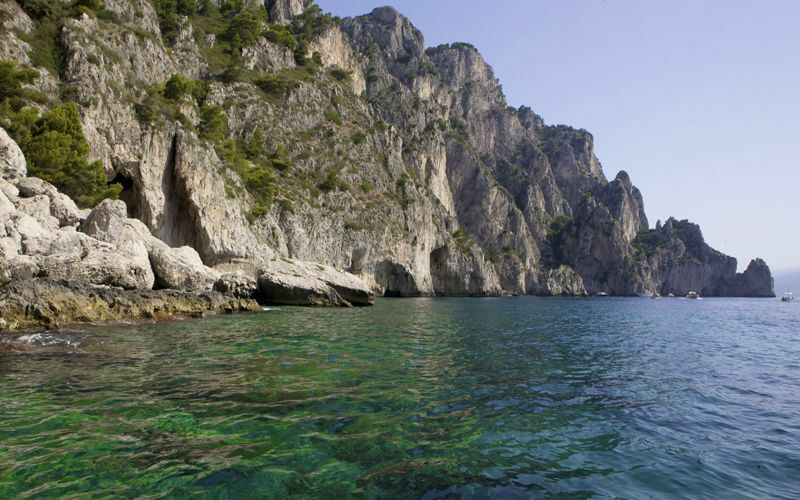 Instead, take advantage of the relative calm by setting off first thing in the morning or in the late afternoon when you will have the seas to yourself. 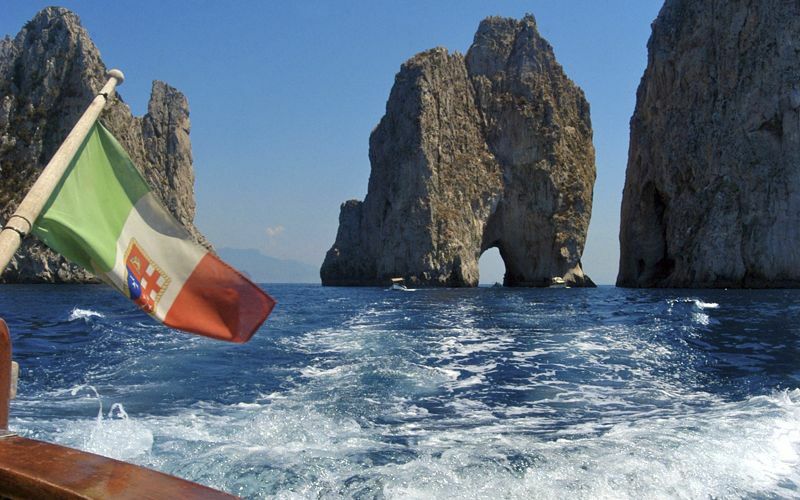 In high season, the waters surrounding Capri are crowded with tour boats, so if you opt to rent a private boat we strongly suggest you enlist the services of an expert crew, as well!